This boat has no autopilot, but if you have one that operates from the quadrant then it may well get you home. The emergency tiller fits over the square top of the rudder stock. In the event of a failure of any element of a yacht’s wheel steering system you will need to revert to an emergency steering arrangement. Provision for such an eventuality is included with every yacht sold in the EU after 1996 as part of the Recreational Craft Directive. 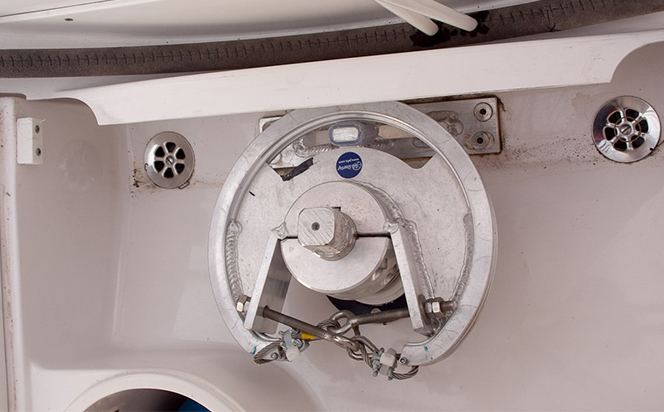 However, the equipment on many yachts languishes for years at the bottom of a damp locker and crews may not immediately know how to assemble the elements to make the system work. The concept sounds simple – just attach the emergency tiller to the top of the rudder stock, which should be immediately below the access point provided in the cockpit floor. However, the wheel pedestal, seats and other immovable items may prevent easy installation. For instance, on some boats the tiller has to face backwards, while on others it’s at 90 degrees to the rudder. Clearly a pitching deck on a dark night at sea is not the time to figure this out for the first time. Once the emergency tiller has been installed it can take time and practice to become accustomed to steering the boat. Often the tiller is too short for steering by hand to be feasible and lines must be rigged, via blocks, to winches. This adds a further level of complication in both set up and in the skill and coordination required to steer accurately. Would you be able to cope in the event of steering failure? First hand knowledge of how the emergency steering system operates is an important first step. The only way be sure you can set up the gear quickly and use it effectively is through practice. This will also highlight whether there are any issues with corrosion preventing the various elements connecting together easily and indeed whether all the parts needed are actually on board. Fortunately, in many cases it will be possible to simply switch to autopilot steering, assuming the pilot is connected directly to the quadrant. This may buy sufficient time to troubleshoot and fix the problem, but if it can’t be rectified then it’s worth setting up the emergency steering in any case, as a minor electrical problem could leave the boat without steering. Once in port don’t try to manoeuvre in tight spaces. 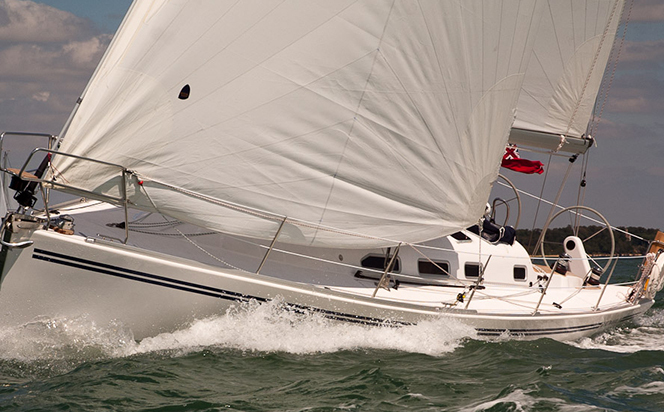 In particular, if you need to turn the boat by giving a burst of power with the helm held hard over, it may not be physically possible to hold the helm due to the force against the rudder. Instead, find an easy place to moor, or ask for help to get into the berth.